Today I want to show you the results of the analysis of the most popular applications in the category of a matching platform. These are platforms that help you find an artist or contractor to solve your problems. For the analysis, I used the base of available applications of crutch base and Google Trends popularity statistics. 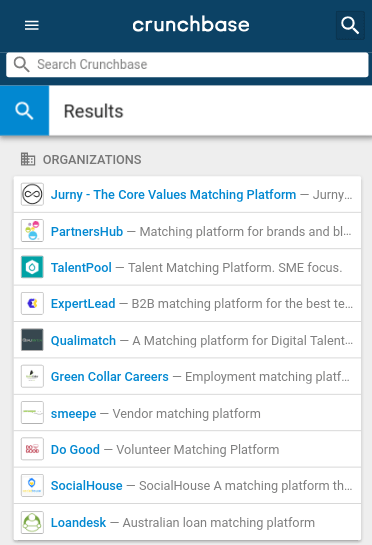 Jurny is a web-based platform that helps its users discover their core values and matches them with related businesses. SocialHouse A matching platform that matches housemates for shared housing to connect like-minded people for social living. 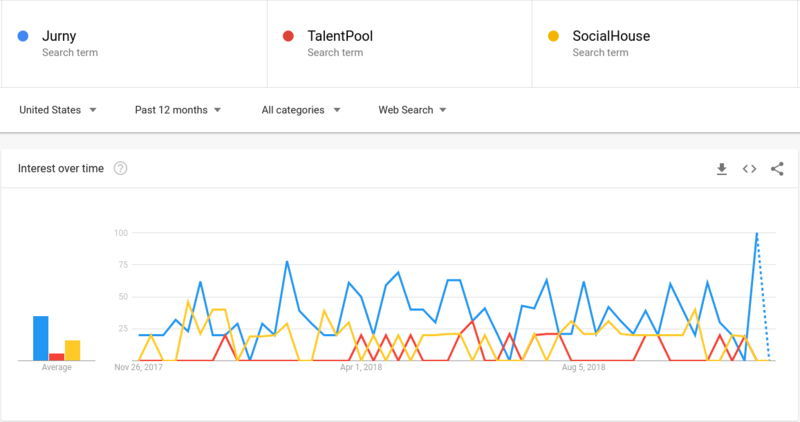 Talent Matching Platform. SME focus.